Mediterranean stakeholders rising to "climate challenge"
The Year 2015 could mark a turning point in the fight against global warming. In any event, the conference was crucial for France, which was hosting COP 21, the 21st Conference of the Parties to the United Nations Framework Convention on Climate Change. During the conference, which took place in Paris from 30th November to 11th December last, Mediterranean development stakeholders contributed their ideas and solutions to counteract the rise in the Earth's temperatures, in many cases repeating the message delivered at the Mediterranean Climate Forum, MedCop21. 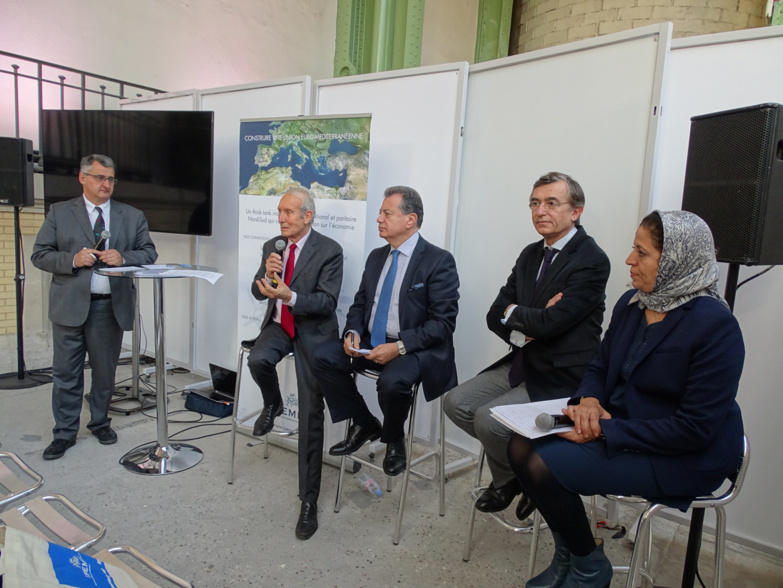 Organised by the Provence-Alpes-Côte d'Azur Regional Council in Marseille in June 2015, the Forum gave Mediterranean stakeholders an opportunity to come together to "make the Mediterranean's voice heard" at the world event in Paris. This work gave rise to the Mediterranean Positive Agenda, a road book setting out 36 solutions and 151 best practices. As the heads of the IPEMED stated at the various conferences at le Bourget, "The many and complex issues raised by energy transition and climate for Mediterranean countries must not be seen just from the angle of the challenge they represent; they must also be seen as an opportunity to bring the economies of the two shores closer together." With its "COP21 Solutions" (products, services or processes) proposal, the Provence-Alpes-Côte d’Azur Region presented a model of the "sustainable city". The Centre for Mediterranean Integration (CMI) chose to highlight Mediterranean projects' financing and engineering. Among other schemes, the CMI supports the idea of a Mediterranean electricity market, a topic that was the subject of a workshop. The Caisse des Dépôts et Consignations emphasized Europe's experience in tools designed to "finance" the 2°C global warming limit, with the EIB preparing to lend more than €50bn for "climate investment" between now and 2020. As for Plan Bleu, the organisation presented its Med-ESCWET project (economic valuation of ecosystem services provided by wetl ands in the context of climate change in the Mediterranean) (see the article in the News from our Members section).